Graphic for upcoming Arroyo Seco Music and Arts Festival, premiering June 2017. When we explored the Coachella Valley Music and Arts Festival in 2013, we found that its festivals "bring more than $90 million in economic impact to Indio and $254.4 million to the Coachella Valley." 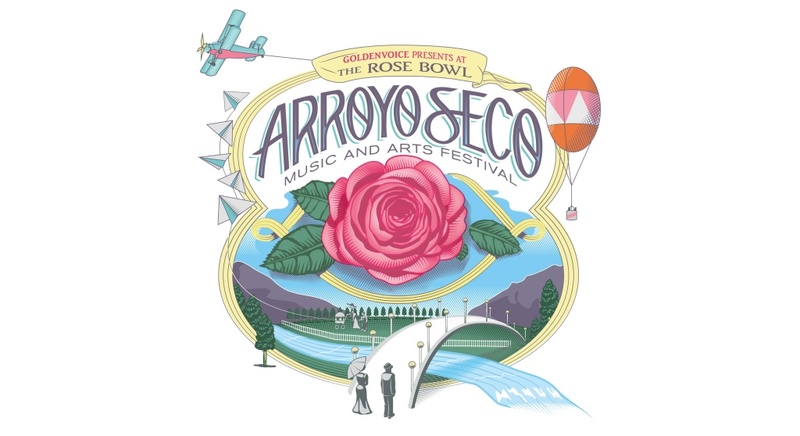 No wonder AEG, the company that organizes Coachella, and the Rose Bowl Operating Company have teamed up to host the Arroyo Seco Music and Arts Festival. A Martinez spoke with Victor Gordo, president of the RBOC and a Pasadena City Council member. He says there are three things you should know about the new festival. On Monday, the City Council greenlit the festival, which is set to debut in June 2017. But the road to the event dates back much farther than that, according to Gordo. "You'll recall that in 2005/2006 we said no to the NFL and at that time we recognized that the stadium needed to be repositioned for success for its next 100 years. And we took on plan B and this is really the result of Plan B, a renovation and the search for a long term new tenant that is the music and arts festival." AEG is co-producing this festival but the company's involvement doesn't mean the Arroyo Seco festival will attract the Coachella crowd. "We're not looking for an event like Coachella. Coachella is successful, it's a great event but we want this to be uniquely Pasadena and the people at AEG Goldenvoice understand that," explained Gordo. "We want an event that's welcoming to families and to all age groups." As our look at the Coachella festival in 2013 illustrated to us, big festivals can have a big economic impact on the city and the surrounding areas. Councilman Gordo explained the findings from the economic impact study that was conducted surrounding the festival. "We anticipate, based on our economic impact study, that this festival will have a $385 million impact to the city and to the region. That doesn't count things like the hotel tax and sales tax, those are simply the incremental expenditures on the part of the promoters, attendees, and induced expenditures on the part of the community."